Be the TARDIS! That's right, Whovians. Be your own TARDIS as you move through time and space. 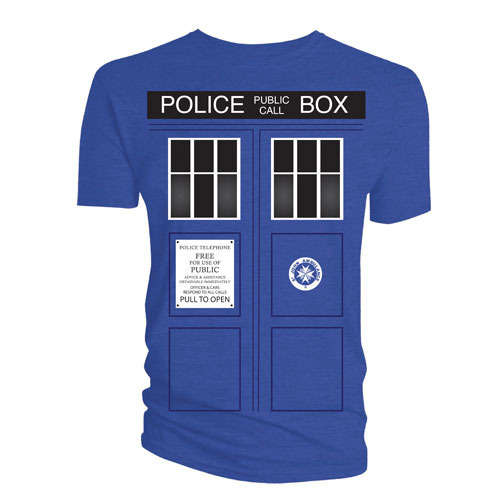 This Doctor Who TARDIS Doors T-Shirt captures the imagery of the Time Lord's vessel on a "TARDIS blue" fabric.